PSA/Peugeot-Citroen CEO Carlos Tavares is the first to admit that his turnaround strategy for the struggling automaker isn't a wonder cure. "I cannot make miracles," he said at Monday's presentation of his Back in the Race recovery strategy for the company. That blunt answer shows the essence of PSA's new CEO: a tough, no-nonsense executive who always tells the truth even when a lie would have made everyone happier. Tavares's restructuring plan for PSA aims to return the automaker to profitability by 2018. He plans to do this mainly by boosting efficiency and productivity, rather than relying on a rebound in PSA's European home market. The task will not be easy as Europe's second-largest automaker has lost 7.5 billion euros in the last five years and tripled its debt to 4.5 billion euros. 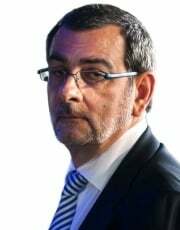 Tavares has more operational freedom than his predecessors after the Peugeot family lost majority control of the company with the entry of the French state and Dongfeng Motor as major PSA shareholders. PSA also has some winning new cars in an industry where product is king. The Peugeot 308 is the 2014 European Car of the Year. The Citroen C4 Cactus, which goes on sale in June, could easily become a must-have for European buyers who want something truly innovative and radically different from the Volkswagen Golf, Europe's best-selling compact car. Last but not least, Tavares has only one option at PSA: to succeed. He badly wanted to be CEO of an automaker and his ambition led to his ousting as Carlos Ghosn's No. 2 at Renault last summer. Tavares is 55. Turning around PSA is his biggest challenge to date -- and likely his last chance to show he can successfully run a top automaker.